This page profiles the coastal management organizations, federal and state, operating under the Coastal Zone Management Act and facts and figures about coastal management in Guam. Nearly 19 percent of the island is developed, which is almost twice the national average for development. 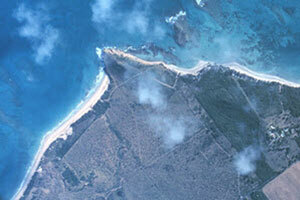 Use NOAA’s high resolution coastal land cover data or the Land Cover Atlas to see change along Guam’s coast. 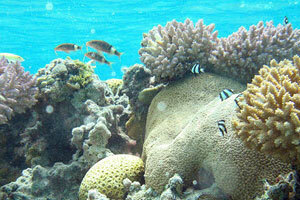 Guam’s coral reefs and associated ecosystems have an average economic value of more than $139 million per year. Find the details in this report. Guam’s Manell-Geus Habitat Focus Area is home to the island’s only shallow water lagoon and features fringe reefs, mangroves, and seagrass beds. Poor water quality, among other factors, threatens this ecosystem. Plans to improve this habitat from its declining conditions are underway. 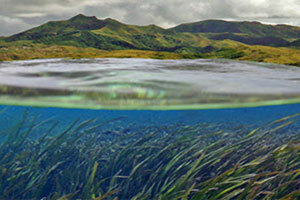 NOAA's Digital Coast provides data, tools, training, and information resources for Guam’s coastal management community. See how Digital Coast is being used in this state.